McDonalds has a new deal out right now! 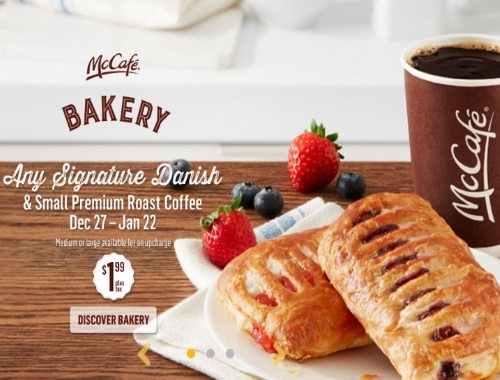 Get any Signature Danish and a Small Premium Roast Coffee for $1.99 plus tax! Medium or large available for an upcharge. Offer is valid until January 22, 2017.